We’d love to see our readers and writers in Portlandia, and we’d love you to see us. We don’t have a table, but we’ll be around plenty. Maybe buy us some avocado toast? Penny Guisinger is also part of the Incite: Queer Writers Read event from 6 to 7:30 pm at Literary Arts, 925 SW Washington Ave.
Assistant Editor Colin Hosten will participate in a reading and reception from 6 to 8 p.m. at the Courtyard Marriott Downtown, featuring numerous Woodhall Press authors, co-hosted by Hosten’s MFA alma-mater Fairfield University and Woodhall Press, which Hosten co-founded in 2016. Our January 2019 Issue contains brilliant, powerful, surprising flash nonfiction from John Skoyles, Richard Hoffman, Abby Mims, Dustin Parsons, Susan Jackson Rodgers, Rajpreet Heir, Sam Kiss, Amy Stonestrom, Rebecca McClanahan, Sean Thomas Dougherty, Bryn Chancellor, Niya Marie, Jennifer Wortman, Lisa Fay Coutley, and Harrison Candelaria Fletcher. You’ll never look at yoga, string, or constellations the same again. And stunning artwork by Dev Murphy. Not long ago, I made my first appearance at an AWP Conference. Arriving in the gray, I felt cold, tired, excited, amazed at the cost, guilty about flying a thousand miles, and shy. Like everyone else, I wanted to bump into fabulous writers, introduce myself to strangers, inveigle myself into editors’ lines of sight and converse with them, and sit in marvelous audiences. All of this I did. On the afternoon of my last day there, I sank into a seat at the back for a panel whose title I think was “Literature and the End of the World.” I sat somewhat fearful. This seemed like a morbid end to three exciting days, yet what could be more compelling? I somehow expected a deluge of facts. I may have expected a deluge of emotion. But my notes from most of the panel consist only of this: we have to write about the environment extremely well, as well as we write about anything else or better; we have to bring the full range of our emotions to writing about the environment and not our stances of sentimentality, moralism, or didacticism; we can aspire to connect and engage, even to warm and inspire. If that had been all I learned, it would have been enough. But the last presenter on the panel—I was also there for him. He happened to be the person I’d fallen for when I was in college. It had been so long ago–more than half our lifetimes. He saw me in the back, approached me, and opened his arms, and all of a sudden I felt as though I remembered all of it. Then he went back and sat behind the table. As it turned out, his particular topic was a bit more edgy than that of his co-presenters: he talked about the strengths of humor-writing on the environment including on environmental degradation and loss and our possible doom. Twain had been funny about the stuff he wrote about, my friend reminded us. Thoreau was also pretty comical. Humor could precipitate the sympathy of the reader or listener. When it landed, it invited people in. From that point of mutual openness anything could happen including the good and really good things that we need to have happen like conservation, innovation, reduced consumption, and other forms of caring for the environment—this was my friend’s implicit point. Also funny writing can make for great art, unlike preaching. The audience really responded to his focus on reaching the reader in a humble, intimate, enlivening way. He was talking about something that I hadn’t expected, something that was paradoxical, but it wasn’t cavalier. Somewhere I’d read something he’d written that was similarly paradoxical and, listening to him, I remembered: it was about the actual and potential beauty of some forms of natural destruction. A desert is beautiful even as it grows larger. A riverbed gives us striking patterns when the water is gone. Pollution makes the sunset more vivid to the human eye and more memorable to the human heart. These are difficult thoughts or they are difficult truths yet even if they are truths, we can hold them somewhat lightly or we can hold them in different ways at different times. For me, Nicole Walker’s new book takes off from what I learned in 2016 and goes in myriad directions in a coherent, beautiful way. It’s got plenty of humor, yes, but also other modalities from awe to rage to deep commitment to laugh-out-loud moments of admitted craziness to arduous moments of depression and of course to love. I’m pretty sure it’s not a book about the environment or its looming destruction. Rather it’s a beautifully crafted, enter-anywhere, narrative and lyric poetic manifestation of one person’s engagement with the environment and with the all-too-apparent ruination in the right-now. In terms of art, the book for me is an installation whose spaces I can enter in my own undisciplined way, recalling my own loves and dreams, losses and nightmares. It’s a diary whose narrator struggles to protect her home and family from worsening fires, considers a family friend’s suicide, raises bright and wonderful children, consumes cheese, meat, oil, clothes, and a lot of other stuff, pollutes and throws out and otherwise gives up, tends her marriage which is also an environment, and finds ways to start over every day. It’s a map, a normal fallen person’s rendering of her way forward and not the idealized and didactic written tracks of an environmental saint. As such, this book invites me in as no perfect book could do to create my own full and fuller and yet more full way of engagement, my own personal, love-centered, quirky, broken, and therefore sustainable-for-me path of thinking and doing in order to save something, even the world, despite my own depression and enormous imperfection or because of them, as I can, and in my own corner. Finally, the author says her new book is a love letter written first and foremost to her husband Erik. I watched this movie last night. It’s on the Amazon channel and elsewhere. The New York Times just called it one of the ten best movies of the year. It’s grim for a long time on the environment and on the prospect of renewal and on human prospects but it has a very strong, vivid arc. For me the value came from watching it through until the end. Twenty-four hours later, I’m still amazed. Lesley Heiser is a Maine writer whose work appears in Boulevard, Puerto del Sol, Ms., Taproot, The Rumpus, Stirring, and elsewhere. She has a lot of hope. For many, the Carlson-Wee poem was but a blip on the radar of an already scandal-packed few months. But the phenomenon is worth examining further, especially considering how, even just ten short years ago, “How-To” would not have incited nearly as fierce an outcry as it did this past July. This is in part because the use of social media as a platform for activism has grown (there are more of us, and together we’re louder than ever), but the response to this poem is also indicative of a broader trend I’ve observed in the literary world as of late. To preface, historically, writers—and especially white writers—of fiction and poetry have appropriated other cultures, classes, and perspectives in their own writing without much thought to the ethics of this practice. And for a long time, they were highly successful in doing so. Many of these works were (and still are) hailed as masterpieces, taught in high school curricula around the world. The place of these works in western literary canon has never been called into question before. Now, however, poetry like Carlson-Wee’s offers us an opportunity to discuss how we as readers should evaluate a piece of writing, with consideration for how the writer’s identity affects the authenticity of their work. In the literary world, as in other spheres, the conflation of the art and the artist is beginning to hold some real currency in the question of which work gets published and by whom. Agents and publishers are more interested than ever before in the identities and backgrounds of the writers they choose to represent. The gap between an artist and the art they create is beginning to close; readers are less and less willing to suspend their disbelief for a black persona poem written by a white person, or a novel with a female protagonist written through the male gaze. The most common argument I’ve heard against this trend is that if a story or a poem is well-written, it shouldn’t matter who the author is. Writing sages like Madison Smartt Bell and Francine Prose have both critiqued this change within the last year in their essays “Policing the Imagination” and “The Problem with ‘Problematic,’” respectively, lamenting what they might call an unjust limitation of writerly creativity. They, and others, insist “good” art can (and should) be considered separately from the artist who created it. That otherwise, we risk stifling the imagination and, thus, the productivity of our favorite (mostly white) writers. But, I wonder: at its core, is the idea that art and artist are intrinsically connected so very different from the expectation that a writer’s experiences in memoir be rendered truthfully, or that a journalist’s facts in an article be checked? Isn’t this expectation why readers (and especially Oprah) felt so betrayed when we learned James Frey had fabricated most of his wildly successful memoir, A Million Little Pieces? And also why readers demanded an explanation when The Nation chose to print “How-To” without checking Carlson-Wee’s privilege? The art was “good,” yes—but it wasn’t true. And as readers, we crave authenticity. Learning a piece we love wasn’t written by the person we thought not only spoils the enjoyment of the art, but also forces us to ask questions about what a writer has to gain in attempting to capture an experience that isn’t their own, as well as what other, less privileged, writers may have to lose. That’s why, as readers, we have a responsibility to understand there are experiences that a writer observing another community cannot—by virtue of being an outsider—faithfully replicate or accurately represent in their work. We must recognize that in attempting to do so, more privileged writers risk depriving marginalized writers, who are more qualified to depict their own experiences, the opportunity to publish their work. The stakes are high, but there is some good news, too. As a community, writers are beginning to prioritize the voices of actual women, people of color, and queer-identifying folx over those simply writing as them. 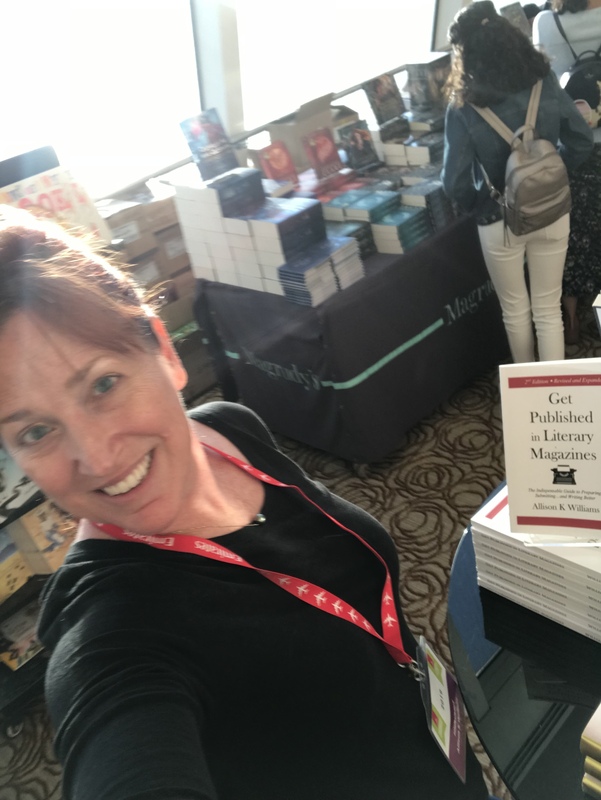 I’ve never seen so many literary magazines sending out calls for submission specifically seeking underrepresented voices, or such a diverse range of memoirs and essay collections currently on (or soon slated to hit) the market. Of course, this awakening has been coming for the last several years, and not just in the literary world. Whether it be a work of comedy, film, fine art, music, or literature, modern consumers value authentic experiences in art, now more than ever before. The uptick in memoir and general nonfiction sales reflect this trend. As does the #MeToo push for work by women breaking the silence of harassment and abuse, such as former Brevity managing editor Kelly Sundberg’s memoir Goodbye, Sweet Girl, and the success garnered by queer comedian Hannah Gadsby’s Nanette Netflix special. And while I understand this change may give some poets and fiction writers pause, all this makes now an exceptionally exciting time for nonfiction as a genre. Because a world that demands authenticity—where artists are required to draw from their own bodies of research and experience—is a world that reflects what we essayists have suspected all along: that nonfiction is not only inclusive of all art, but that all art is, on some level, a work of nonfiction. ** The above has been adapted from a paper I submitted for the NonfictioNow húslestur discussion on “Writing for Social Change” in November of 2018. The húslestur, an Icelandic “family custom of gathering at night to read aloud and discuss ideas,” is a themed roundtable-style discussion on the nonfiction issues of our time. You are currently browsing the News and Events category at BREVITY's Nonfiction Blog.